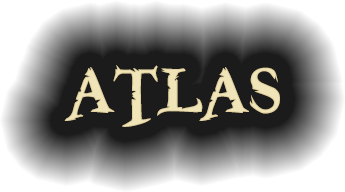 Order now on Steam (PC) - Create your own Atlas today! The original sandbox construction game. Now available! ARK: Playstation 4 servers are here! ARK: Survival Evolved game servers now available for Playstation 4. Dinosaur survival game, one of the most popular titles on Steam! Deploy a game server instantly and experience the Survival Servers difference! Got a question? Create a support ticket or email us and we'll get on it. We have a team of support representatives ready to help. For general help, tutorials, and answers to frequently asked questions, check out our community forum. We have an active community ready to help. Maintained by our staff, our wiki contains answers to common questions, "getting started" guides, and other resources to help you admin your game server. All game servers are deployed instantly. Once your game server is created, you will be receive a welcome e-mail with connection details. On the fence about a particular upgrade or addon? You can easily upgrade your game server from our custom control panel from the Addons page. Refer customers to Survival Servers via our affiliate program and earn 10% commission on all invoices - big or small - for life. We've spent 1000s of hours developing our custom control panel focused on adapting to the games as time progresses. Our control panel is easy to use. After ordering a game server, you are instantly redirected to your game server panel. From there, you can access important details, update settings, and control your server from a single page. Each game is manually configured and continuously updated to ensure your game server stays up-to-date. All game servers come with the features you need! Each of the features belows applies to each game server. Features marked with * apply to select games where applicable. You will quickly be redirected to manage your game server after payment. Their customer support is awesome. I put a ticket in and I get an answer on most days with in an hour or two. Nothing but praise for these guys, I have 2 servers hosted by them. Nice level of access to the server and their support has been responsive and helpful when i've needed it. No hidden fees, no lag, no disappointment. The moment my payment was sent, I got the message that my server was up and running. Best feeling ever. With the simply click of a button, you can install the mod (ARMA 2: OA), install the admin tools, and install BEC and many more. I've had a DayZ Mod (ARMA 2: OA) server with Survival Servers for 3 months. My experience with the company has been good and I have had no problems with them. Great server tools. Great prices. I rarely dip below 45 fps on my server; it's amazing. I have been provided with an excellent server. If you are thinking about purchasing a server from Survival do not wait. Go ahead, you will NOT regret it.